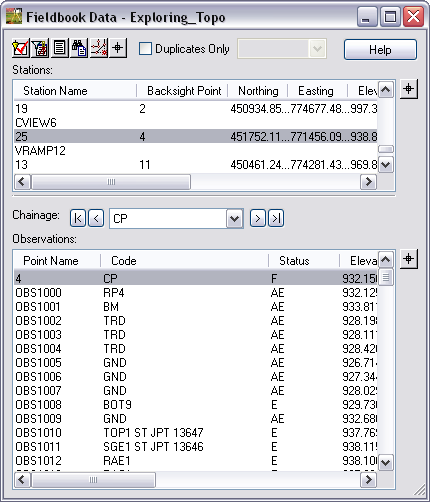 In the current release of InRoads Survey V8i (SELECTseries) there is a tool that will allow you to rename/ renumber the observations and stations in the Fieldbook (FWD) file. This tool is handy when you are importing multiple surveys that may have duplicate point names. 1. Open the Fieldbook Data dialog. 2. 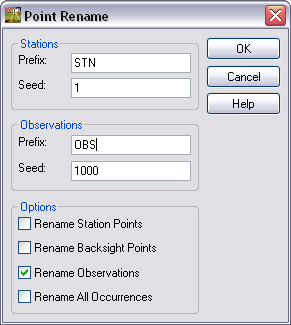 Select the Station and Observations you want to rename. 3. Right click on the Station Name and select Rename from the popup menu. The Point Rename dialog will appear. 4. From the Point Rename dialog keyin the Prefix and Seed point number. 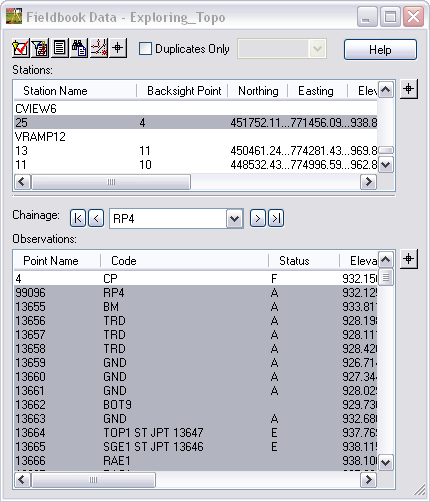 Check ON Rename Observations and click the OK button. 5. The points selected will be renamed and the Fieldbook dialog will be updated.